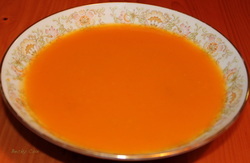 Butternut Squash Soup is a favorite soup for so many people because it is loaded with vitamins and very low in calories. 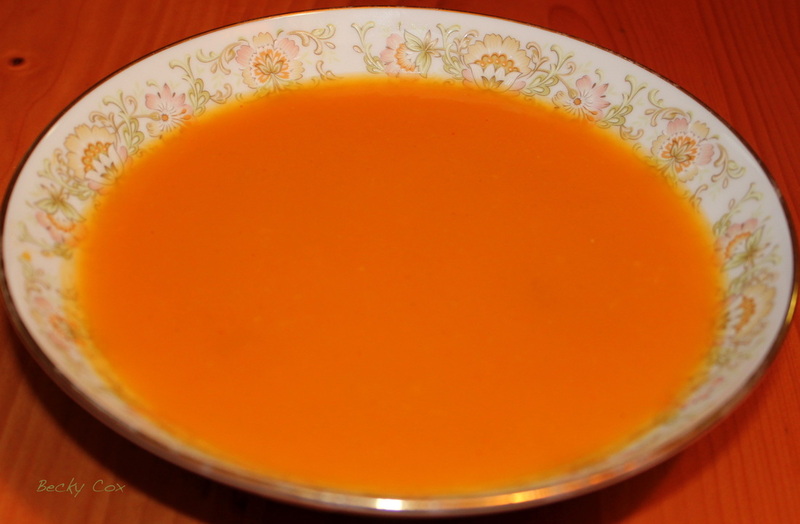 if you are looking for a creamier, richer soup add the diced potato. Cut squash in half, discarding seeds and pulp. Place squash cut side down in a microwave safe dish. Pour water into the dish until is is 1/2-inch from the bottom of the dish, cook on high 12-15 minutes. Peel and cube squash when cool. In large saucepan, combine squash, onion, broth, red pepper, curry and optional potato, bring to a boil, lower heat and simmer 20 minutes. Carefully blend until smooth using an immersion blender (or blend in batches using a standard blender being careful with the hot liquid). Nutritional information includes the yogurt.